It’s the most wonderful time of the year — the time that Libertarian Senator Rand Paul reveals that even lizard people have a sense of humor by celebrating the holidays by ripping his colleagues in the Republican establishment. Paul took to Twitter to participate in the airing of grievances, one of the traditions of the fictional* holiday Festivus, invented in an episode of the TV show Seinfeld. *Fictional here being a loose term when more “serious” holiday beliefs include a magical fat man in red pajamas riding a sleigh pulled by flying reindeer around the globe to break into houses, leave presents for children, and eat a crapload of cookies. You’re going to be saying #HappyFestivus again. Believe me! That’s high praise considering he thinks the first two were both inspired by God. Never explain the joke, Rand. We spent $8.2 million to “instill confidence in the Libyan government”. 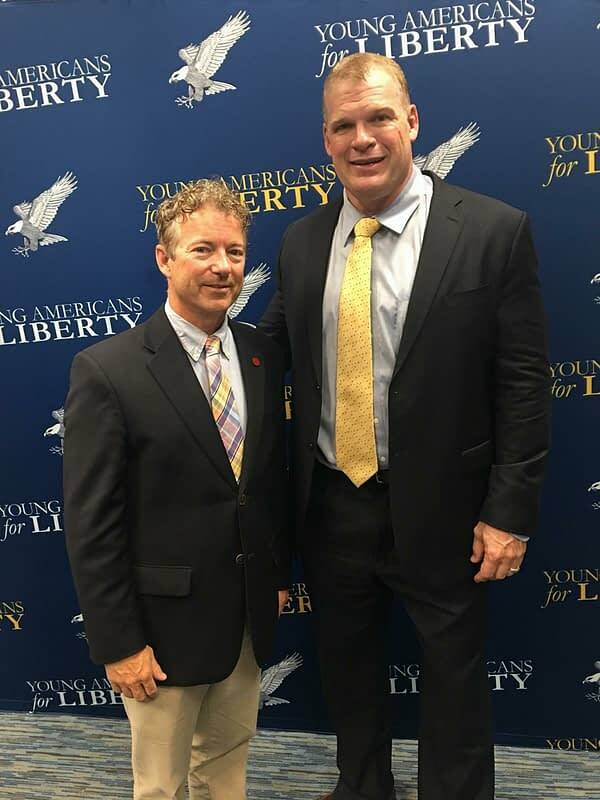 Happy Festivus to you too, Rand Paul. You’ve given us the greatest gift we could have hoped for: clickbait article fodder on a long, slow Holiday weekend.